Singapore is the second destination choice for hedge funds after Hong Kong. Start-ups are reportedly on the rise this year, especially after the central bank approved new rules exempting most funds from obtaining a Capital Market Services licence. According to the Monetary Authority of Singapore (MAS), the Singapore hedge fund industry has weathered the crisis reasonably well in 2009 despite the general downward trend globally. Notwithstanding the year-on-year decline in the number of hedge fund managers from 350 to 320 as at end-2009, the AuM of the Singapore hedge fund industry held steady at S$59 billion (approximately US$42 billion) as at end-2009. The profiles of hedge fund managers and their strategies remained highly varied. This diversification has helped to sustain the industry during the difficult period. The island country, already a key financial centre, is noticeably making sure that it stays that way through friendly regulations, ongoing training, good infrastructure, and, apparently, frequent airplane flights. 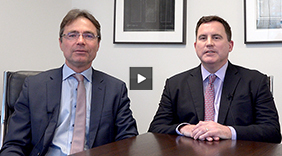 The risks and challenges in the market: How are the risks managed? Is VaR an effective risk management tool? Why would one want to set up a hedge fund in Singapore? We thank our 2010 Roundtable Series sponsors Custom House Group and Taussig Capital, as well as SunGard, our Singapore Roundtable sponsor, for their support.